While we’re always happy to cover GPU topics, including a huge list of the best GPUs in 2019, a few people felt like we left a favorite pick out. Despite the release of Nvidia’s RTX series (including the recently released GTX 1660 and its Ti variant), the GeForce GTX 1080 remains one of the most popular GPUs on the market. However, since every big manufacturer gets to make their own card based on Nvidia’s reference design, you’re going to end up with dozens of different graphics cards with (slightly) differing gaming performance, (greatly) differing cooling performance and size. It can be a lot to handle and sort through, especially if you’re new to all of this. That’s why we’re here to help you choose which GTX 1080 to buy in 2019. Our top performance pick is, somewhat unsurprisingly, a card from EVGA with a stellar factory overclock. The EVGA FTW2 Gaming GTX 1080 will offer the best out-of-the-box performance of all the cards on this list, which makes it great for those who aren’t yet comfortable with GPU overclocking. The ASUS ROG STRIX is our top cooling pick for the GTX 1080… perhaps unsurprisingly, yet again. 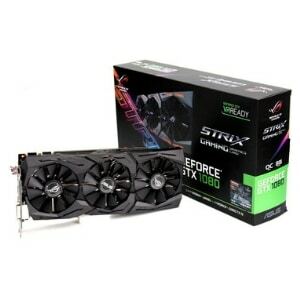 The STRIX series is known for their stellar cooling, jam-packed features and very, very large graphics card size. You might want to make sure that you have room inside your PC for this one, but if you do… it’s pretty great. 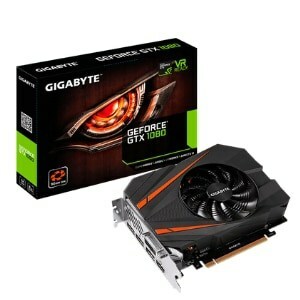 Gigabyte’s Mini ITX GTX 1080 is by far the smallest GPU on this list, making it perfect for ITX builds while still providing the raw power of a GTX 1080. The Gigabyte GTX 1080 Mini ITX has the lowest factory clock on this list, but its performance should be pretty in-line with that of a reference GTX 1080. If you’re making an ITX build, there’s really no question: this is by far your best option. The Zotac GTX 1080 Mini is small, but not quite as small as Gigabyte’s option. However, it does come in as the cheapest of the 1080s, and with a respectable factory overclock over Gigabyte’s card, making it a strong budget pick. The Zotac 1080 Mini may be a small GPU, but it’s actually our top budget pick, rather than our top Low Profile pick. This is because of its lower price and strong performance, making it the ideal option for gamers wanting to get this performance for as cheap as possible. This is our top balance pick, thanks to its great price-performance, strong cooling and no-larger-than-average size. The ASUS GTX 1080 TURBO, despite its name, isn’t the strongest card on this list. That honor goes to the EVGA FTW2, or possibly the STRIX if you get lucky with overclocking. However, its factory overclock is still respectable, and the performance you get out of it should be as good as with your average, reference 1080...if not better with some overclocking. While factory overclocks are awesome and do improve your performance, they don’t do so by a whole lot. For instance, overclocking a GTX 1060 won’t bring it into the power level of a GTX 1070… it’ll just make it a little bit better at being a GTX 1060. Even with the biggest factory overclocks, you aren’t going to get massive real-world performance improvements, though you may enjoy benefits like more stable FPS or higher minimum FPS. What really matters is the performance of the GPU chip that all of these cards share, in one way or another: the GTX 1080. The GTX 1080, in short terms, is a powerhouse. With the power the GTX 1080 boasts, it’s equipped to deal with 1440p gaming at high-to-max settings and 4K gaming at medium-to-high settings. Virtual Reality is also a pretty easy feat for this GPU to top, since the minimum requirement for that starts right around the GTX 1060 3GB...which this card beats by, oh, 88% performance. We think it’s fair to say that’s not bad. Playing at 4K and Ultra settings, the GTX 1080 tends to score anywhere from 40 to 60 FPS, which is well above what’s considered playable (for reference, consoles often settle at 30 FPS for many popular titles). With the right settings adjustments, especially to AA and advanced lighting features, this can easily become 60 FPS in just about every game provided the rest of your system can keep up. With 1440p, there’s no question. The GTX 1080 is perfect for 1440p gaming at high-to-max settings with 60+ FPS in all but the most ridiculously intensive games. If you’re looking for a card to drive 1440p or 4K gaming, the GTX 1080 will definitely accomplish that for you. How does it compare to the RTX 2070? But let’s not ignore the elephant in the room: What about the RTX 2070? It’s a newer GPU, after all, and it targets the same performance level in most gaming scenarios as the GTX 1080. The problem is, it’s expensive. Much more expensive than the GTX 1080, with an MSRP that’s $100 higher and a retail price that can be anywhere from $50 to $150 more expensive. Perhaps most frustratingly, this doesn’t come with any kind of meaningful performance increase in most titles. Often the difference is less than 10 FPS in games that are already running above 60. The main selling point of the RTX series is the support for real-time ray-tracing, but news flash: the RTX series has been out for months now, and no actual games seem to support the technology yet. This is a brand new technology being sold at a much higher price for the promise of flashy new features in the future, not the delivery of them today. For that reason, we consider the GTX 1080 to be the smarter choice. Even if ray-tracing in gaming picks up a year or two from now, by then there will be GPUs that do it better and cheaper for a technology that’s actually being used, as opposed to one that hasn’t really materialized yet. Clock Speed - Clock speed refers to the internal, “core” clock of the graphics processor. The higher the clock speed, the better your performance. VRAM - VRAM refers to the “video RAM”, or memory available to the GPU. Discrete GPUs tend to come with their own VRAM-- in the 1080’s case, this is GDDR5X VRAM, which is a bit faster than the industry standard GDDR5. The more VRAM you have, the better your card be at handling high resolutions and HD textures. Length - The length refers to the physical length of the card. This is going to be especially important if you’re using a Micro ATX or Mini ITX case, which may not always have room for GPUs that are 10 inches or longer. Overclock - Overclocking refers to pushing the clock speed of a component higher to get more performance. Usually, this is done by the user, but the cards we’re listing here today all boast “factory overclocks”, which is overclocking done by the manufacturer and proven stable. Since the GTX 1080 is such a powerful card, you really can’t go wrong concerning performance. However, as covered in the intro, there are a lot of companies making their own 1080s-- each with their own strengths and weaknesses-- so we decided to do the legwork for you and start our search for the best GTX 1080 model. Best Performance - The best out-of-box performance. This corresponds pretty closely to factory overclocks. Best Cooling - The best cooling setup. Due to the extreme scarcity and impracticality, we excluded liquid cooled 1080s from our search-- you’d be better off modding one for yourself at this point. Best Low Profile - Size isn’t everything, you know (but sometimes the lack of size can be). This is for the smallest cards, making them most-suited for installation into Mini ITX and Micro ATX PC builds. Best Budget - The cheapest we could find that was still of respectable build quality from a trusted manufacturer. If you want to pinch pennies, but still get a high-end graphical experience, this is the choice for you. Best Balanced - A “balanced” pick, balancing things like performance and cooling to make a good middle-road pick for those who want a well-balanced graphics card. EVGA is well-known for their high-quality hardware, but most especially their excellent Power Supply Units and Nvidia graphics cards. 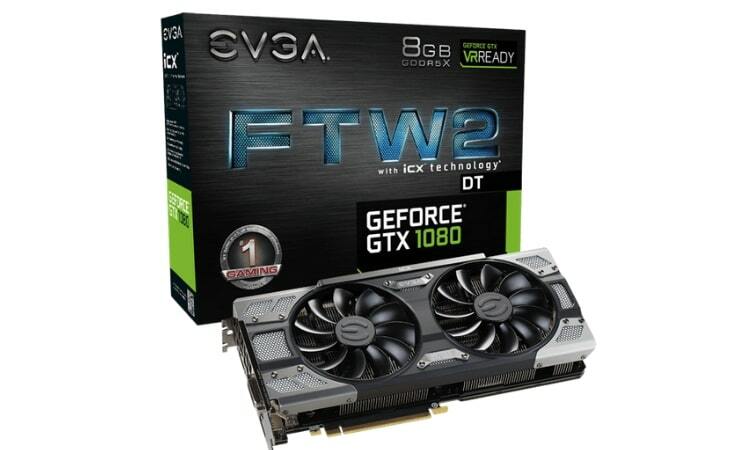 Of the Nvidia GPU manufacturers, EVGA is renowned for their excellent customer support, build quality, and generally high-performing cards. It’s no surprise, then, that they dominate the out-of-box performance tier in this list. And since they don’t slack on cooling, you may be able to push the overclock even farther on your own. Whether you’re a passionate overclocker or you just want the best out-of-the-box performance, the FTW2 GAMING is clearly a great pick. There are two downsides to this card, and we’re going to get them out of the way now. Its excellent cooling. With a massive heatsink and three fan-setup, it’s pretty much impossible for this card to not have great cooling. Great cooling also means that this card should have plenty of overclocking headroom. Enough headroom to possibly push it past the EVGA FTW2, which would make this the fastest GTX 1080. Even if you aren’t willing to do extra OC work, you’re getting very strong out-of-box performance, top-notch build quality, and even features like RGB lighting built into the card. While the STRIX might cost extra, we think it’s worth that extra money if you’re willing to spend it. 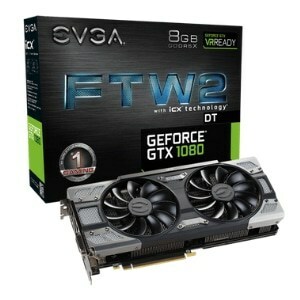 Let’s get this out of the way now: if you’re looking for an overclocking GPU, this one isn’t it. While it does have a modest factory overclock, you’re unlikely to push it much farther than that. In spite of that, it should stay pretty close to the other cards on this list in terms of performance. But it’s strong suit really shines if you’re building an ITX PC, a console-esque PC, or HTPC. You simply aren’t going to find another GTX 1080 that is this compact while enabling true 4K gaming in a way that consoles simply cannot. If you want your PC tiny and powerful (and don’t have the money for a 1080 Ti Mini), this is the card for you. Despite the “Mini” in its name, this card isn’t the smallest on this list, so it doesn’t win the Low Profile category. 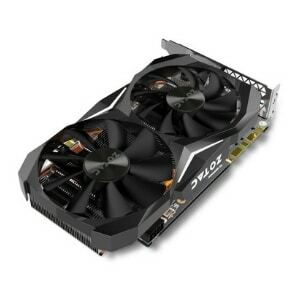 However, it does win the Budget category, since it’s the cheapest card on this list, and by extension the cheapest GTX 1080 we’re willing to recommend. Despite being the cheapest, it actually does have a humble factory overclock, making its out-of-the-box performance superior to that of a few of the other options on this list. Despite its small size, it’s also competently cooled at this clock speed, though we recommend against overclocking it farther lest you risk crashing or overheating. Last but not least is our balanced pick. While it and the Low Profile pick have the lowest factory overclocks on this list, don’t judge the book by the cover here: its cooler is pretty good, so you should be able to push the overclock a good bit farther without crashing or overheating your GPU. Size-wise, it’s about as long as your average GPU (ten inches), so it should be just fine for full ATX cases and many Micro ATX cases. If you want a balanced pick and you’re willing to do just a little bit of your own tweaking this is the card for you. So we’ve presented all the best GTX 1080s out there, stacked up the GTX 1080 vs RTX 2070, and we’ve told you what kind of performance to expect from these cards. But which of the best 1080 GPUs comes out on top? Well… that depends on you. We’d personally go for the ROG Strix for its great cooling and extra features, but any of the five listed above (and below) are valid options. Performance - If what you care about above all else is cutting-edge performance, and you don’t want to do your own overclocking, the EVGA FTW2 Gaming is the GPU for you. Low Profile - Building a small PC and don’t have room for big graphics cards? Just go ahead and get the Gigabyte GTX 1080 Mini ITX. It’s perfect for exactly this purpose. 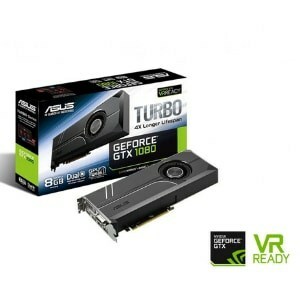 Budget - Want a 1080 but also want to save as much money as possible getting one? Get our budget pick: Zotac GTX 1080 Mini. Balanced - Last but not least...just want a well-balanced card and don’t want to lean too hard into one particular benefit? Snag the ASUS TURBO GTX 1080...it’ll serve you well. We hope that this guide helped you find the right GTX 1080 for you. Feel free to comment below and let us know which card you went with, or what you think of our picks. You can also just ask for help if you need it-- we’re serious about monitoring our comments and making sure our community is being well-served.